There seem to be two main types of francisca. The first type has a convex upper edge, the second type has an S-shaped upper edge. Does anyone know if the shape of the francisca evolves through time? 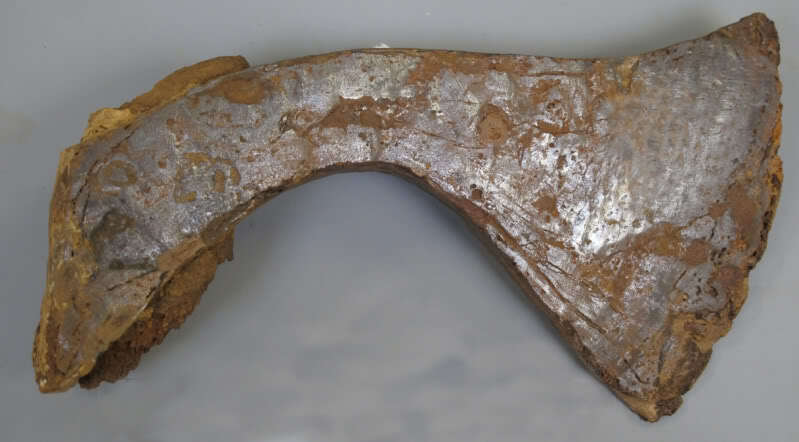 Can this kind of throwing axe be dated, using the shape? This is an original Merovingian fracisca I'm studying. Can more be said typologicaly than that this is a fracisca of the S-shaped variety?